Climate change is a real and urgent issue putting the very future of humanity at stake. Unfortunately, it is not only the concepts like the progressively increasing temperature of the earth that can sink islands or disasters that could affect millions if not billions of people. These scenarios, always so dear to doomsday predictors, have dominated the discourse at the cost of other, even more urgent issues like food insecurity, hunger and starvation plaguing the marginalised sections of the society across the globe. It is also about the deepening agrarian crisis with farmers in the least developed and developing countries bearing the brunt of the situation. Take the unending saga of farm suicides in India, for instance. Several studies have exposed the suicides, pegged at 12,360 by the National Crime Records Bureau, the country’s official record keeper, despite massive underreporting and fudging of categories to keep the numbers low. They tell the tale of a disaster that has been unfolding for almost two decades and have ensnared more than 200,000 lives even by the most conservative estimates. These deaths have hardly figured in the multilateral forums discussing climate change. They have been caused, in part, by the impact of the same-like repeated crop failures- especially cotton cash-crops that farmers have been forced or allured into cultivating. Not that the world community is unaware of the fact. A report of the Food and Agricultural Organisation released last week, ahead of the United Nations Climate Change Conference (COP 21) in Paris notes that the average annual number of disasters caused by natural hazards, including climate-related events have almost doubled since the 1980s between 2003 and 2013. It further notes that the most marginalized sections of society like small and marginal farmers, forest-dwelling communities, fisher-folk, and those dependent upon livestock are so often the worst hit; many of them have seen a complete erosion of their livelihood during such disasters. The only thing worse than the disasters themselves, has been the world communities response to them. “Worldwide, the livelihoods of 2.5 billion people depend on agriculture, yet only 4.2 percent of total official development assistance was spent on agriculture between 2003 and 2012 - less than half the United Nations target of 10 percent”. One can pause here for a moment and think of the Bangladeshis known as ‘delta migrant’- the people forced into distress migration to Dhaka every year because of the vagaries of nature that forces the Ganges delta to change course every year. These people, some 3, 50,000 erstwhile agriculturalists in the fertile delta end up in the Dhaka slums as per World Bank estimates. Yet they often fail to find even a passing mention in the global discourse on the issue, perhaps because the delta has been changing course over centuries and has not been directly related to climate change until now. That will not remain the case forever, and increased global warming would in all likelihood accelerate the displacements caused by lands getting washed away. Ironically, the current thrust of the climate debate seems to have forgotten the very people who have borne the brunt of the change and are becoming more vulnerable. The excessive focus on cutting down the carbon emissions without taking into consideration both the historical patterns of the emissions and the current and immediate need of energy for such vulnerable populations, will only push them further into distress. The ensuing food and livelihood security of such communities should be a primary and non-negotiable task of the conference. Ways to fight climate change with all the doom and gloom that it brings must be fought with a focus on, as FAO puts it, not losing sight of universality, solidarity and inclusiveness. 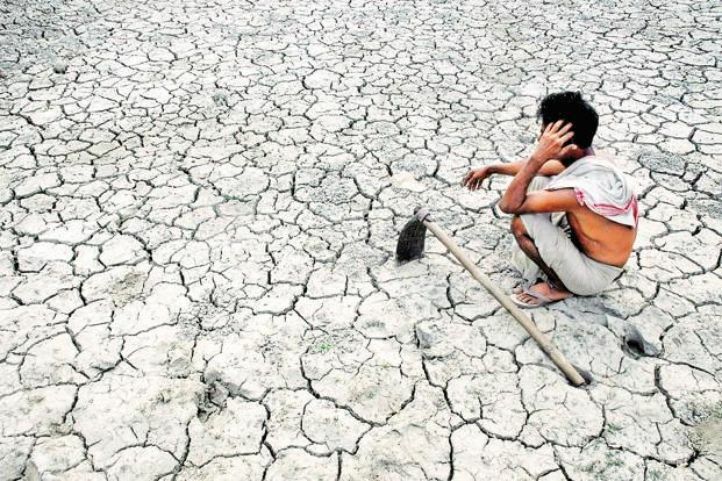 Climate change is real and urgent but so are agrarian distress and environmental disasters threatening the lives of billions of small and marginal farmers, fisher-folk, indigenous communities, and forest dwelling communities. The battle for the survival of the world cannot be fought at the cost of their lives.